As Deep Impact approached the comet, it observed several outbursts which were not expected. By studying the outbursts, team members were able to determine that several, such as the two above, occurred at about the same time during the comet's rotation. 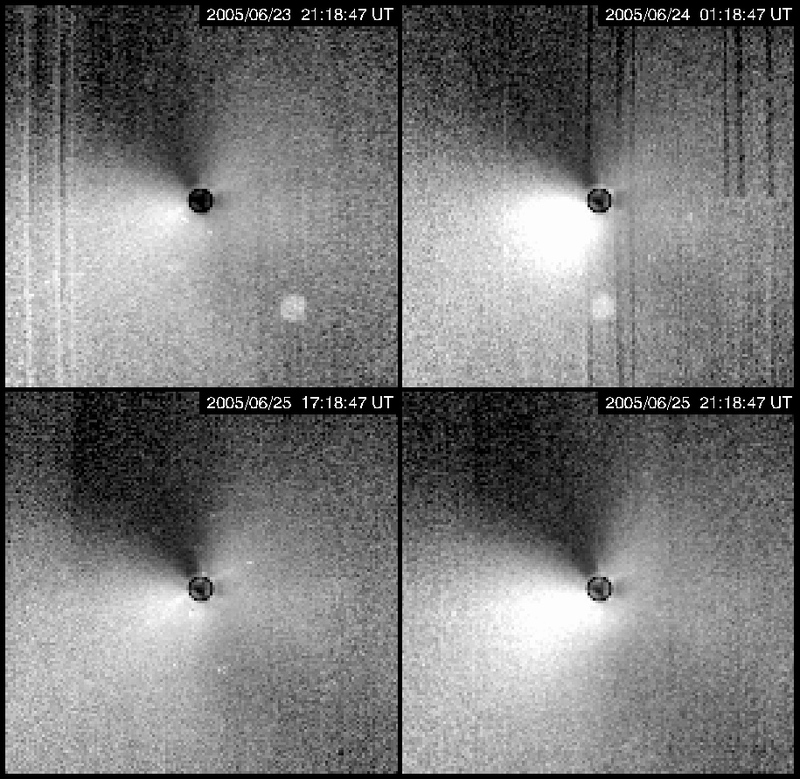 For each pair of images, the panel on the right shows the first image in which the burst is detected while the panel on the left is the pre-burst image obtained four hours earlier. The timing of these two outbursts, which were first detected in images obtained 44 hours apart, is consistent with them occurring at about the same phase on subsequent rotations. In addition, the morphology, or shape of the brightened region at the 8 o'clock position, is nearly identical, which indicates that both outbursts probably originated from the same location on the nucleus. The field of view is about 1800 km in the top outburst and 1500 km in the bottom. The round bright spot in the top row images is a star.